The Buro Persona is popular because of its superior comfort, strength and style. 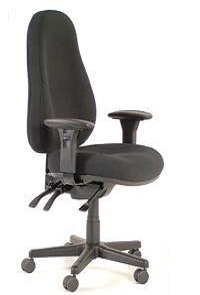 The metal reinforced base and heavy duty 3-lever mechanism provide outstanding durability and ergonomic function. Ratchet height adjustable back and lumbar.